Over the past few years we have developed an exciting partnership with Essaman United, a secondary school in Elmina, Ghana. Designed to promote cultural learning and understanding, the partnership engages both countries’ pupils and teachers, sharing projects and experiences whilst learning about each other’s lives. So far three groups of pupils have visited Essaman United, and further visits are planned for future year groups. In addition to pupil visits, the partnership involves a range of activities including cultural exchange, charitable fund-raising, collaborative projects and Ghanaian-themed teaching in a range of academic subjects. As such, the partnership will be fully integrated into the school life at Kimbolton. Every year a group of around 25 Lower Sixth students participates in our exchange with Bridgewater-Raritan High School in New Jersey. See our online presentation and information brochure (pdf) below. In 2012 we agreed to become the 379th United States Army Air Forces Bomb Group Association's official representative in the UK. The 379th Bomb Group of the United States Army Air Force was activated on 26 November 1942, at Gowen Field, Boise, Idaho. It consisted of four squadrons of B-17s: the 524th, 525th, 526th and 527th. 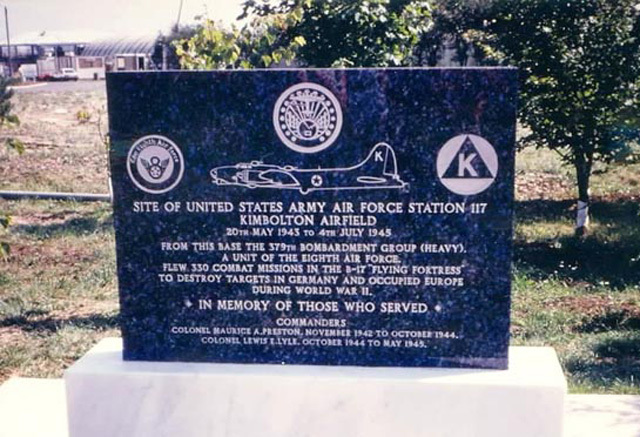 In 20 May 1943, the 379th arrived at RAF Kimbolton, or USAAF Station 117 as it was known to the US servicemen. 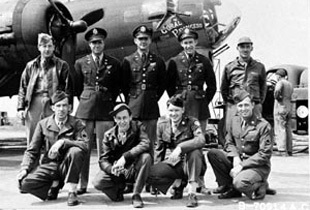 The combat record of the 379th was the most successful of all the Eighth Air Force heavy bomber groups. It held records as far as bomb tonnage dropped - 26,459 tons - more than any other unit including those operational before the 379th arrived in the UK. It also exceeded all other UK-based Bomb Groups in the total number of missions flown, carrying out 330 between May 1943 and 15 May 1945. Two of the 524th Squadron B-17's claimed individual fame: "Ole Gappy", completed 157 missions, probably more than any other Eighth Air Force bomber and "Swamp Fire" was the first heavy bomber to achieve 100 missions without an abort. The 379th received two Presidential Unit Citations for its accomplishments in combat. 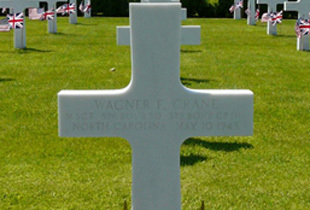 The Group flew its last combat mission on 25 April 1945. 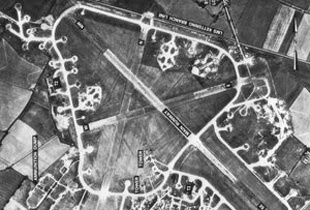 It was active for two years, seven months and 29 days and during this period approximately 6000 personnel were assigned to the Kimbolton airfield. The Group left Kimbolton on 12 July 1945 and was deactivated on 25 July 1945, at Casablanca, Morocco. 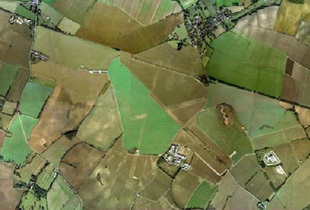 After the Americans left the RAF used the station for basic training until it was closed in 1946. It was maintained in a standby status until the early 1960s.